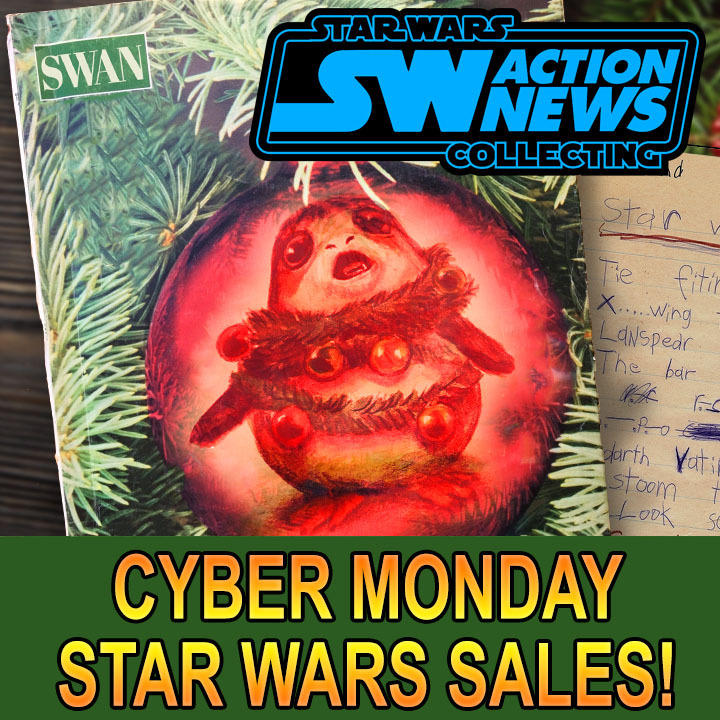 May the Savings be with you on this Cyber Monday where, finally, there are some great bargains to be had on Black Series and Vintage Collection Hasbro Toys, LEGO, and more! The best bargain at Amazon today is the Black Series Force FX Z6 Riot Control Baton. This $200 prop replica is 1/3 off today--just $134.39! Also in the Black Series Roleplay, the Stormtrooper Helmet is 38% off, down to $49.99 from $80 today only! The Vintage Collection Imperial Combat Assault Tank from Rogue One is now 40% off at Amazon -- just $47.99, down from $79.99. I jumped and got one at that price. The Black Series Dewback with Sandtrooper is also over 25% off, marked down to $42.97 (not the cheapest it's been, but a good price on a great toy) Also in the Black Series, the Kylo Ren Centerpiece set is almost half off, just $28.96 (which is the right price for a non-articulated figure and diorama base) It's also a good time to army build your Jawas! The Black Series Jawa figure is down to $12.41. Also the troop builder Black Series Range Trooper from SOLO is 41% off, just $11.77 And it seems stores can't give away the Vintage Collection Snoke figure. You can get one now from Amazon for just $6.96 (down from $13), but it's an Add-on item only. The Ultimate Co-Pilot Chewie is a great gift for kids (or those who are still kids at heart). This $130 toy is almost half off today only, $69.92! In the 5POA line, the ForceLink 2.0 Resistance A-Wing with Pilot Tallie is 42% off, just $17.31. Likewise the ForceLink 2.0 Millennium Falcon with Escape Craft is 20% off, down to $23.99 And can you ever have enough Rathtars? The 3.75-inch Rathtar with Bala-Tik is 70% off--just $6.07 From Solo in the 5POA line, the Han Solo Landspeeder with figure is 15% off, $25.49 shipped. In the kids focused Galactic Heroes line, the Galactic Rivals 10-Figure pack, with Grievous, Yoda, Luke, Vader, Sidious, Obi-Wan, and more, is 43% off, $17.14. In that same line, Amazon's exclusive Galacitc Heroes Millennium Falcon with Han and Chewie is $25, down from $40. Amazon also still has the Sphero R2-D2 for just $39.99. Given that it's sat at that price for about a week I could see a cheaper lightning deal, but that's still a great price. For gamers, Amazon has several discounts as well: Star Wars CLUE is almost half off, marked down to $24.95 The Black Series Star Wars Trivial Pursuit is also almost half off, just $20.50 The Star Wars: Rebellion game is over 20% off, just $78.99 The Star Wars: Legion core set is $54.69, down from its usual $90. The Star Wars: Legion Snow Troopers Expansion is 24% off: $18.99 Star Wars: Edge of Empire - Beyond the Rim is 11% off, down to $21.01 And many more Gaming Bargains can be found on Amazon's site! Got a deal we didn't list here? E-mail us at show@swactionnews.com and let us know about it! 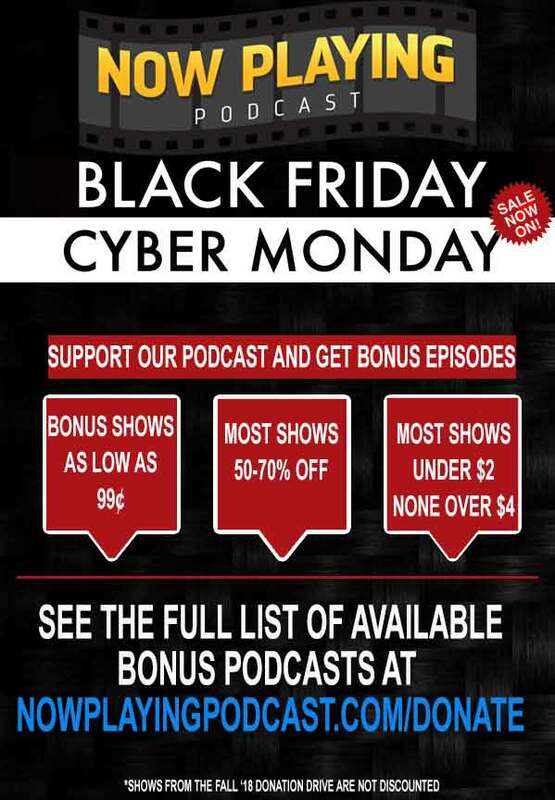 Finally, if you're a Star Wars Action News listener, you may want to know about the Cyber Monday deal our sister podcast Now Playing Podcast is having right now -- for just the next 18 hours!